Presenting Goest Hotel. For your bathroom. 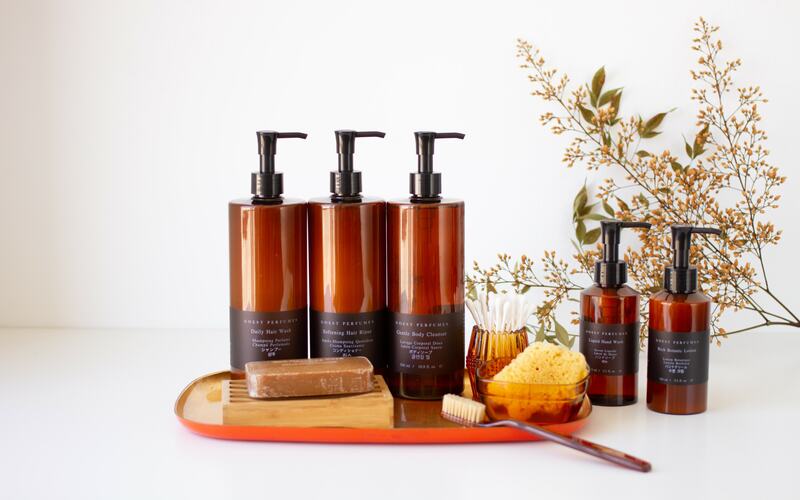 We are pleased to introduce the "Goest Hotel" bath and body amenity line. Furnish your shower with oversized pump shampoo, conditioner, or body wash - and outfit your sink with a perfect set of gentle hand cleanser and botanical lotion. All five amenities are non-drying, botanically based, and luxuriantly scented with our juicy, exalted Lartigue EDT, a unisex favorite which features notes of grounding cedarwood, cleansing mediterranean lemons, and succulent fresh peaches. All purchases on the Goest Perfumes store of $30 USD or above ship free in the USA.